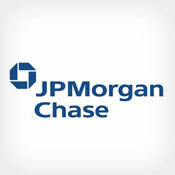 The Financial Solutions Lab – managed by the Centre for Financial Services Innovation (CFSI) with founding lab partner JP Morgan Chase – is looking for a diverse range of applications for its fourth innovation challenge. For this year’s challenge, the firms want scalable solutions to improve consumer financial health in the US – with a focus on diversity. Selected companies and non-profit firms will each receive a $250,000 investment and unspecified access to resources to help them grow. According to CFSI’s research, it shows that 57% of the US population – or 138 million adults – have “difficulty managing their day-to-day financial lives, establishing a cushion for financial resilience and positioning themselves for financial security and mobility”. CFSI adds that given the diversity of Americans who struggle with financial health, it’s looking for products that “resonate with broad and diverse populations”. Its search is broad in terms of financial health solutions. Ideas can include savings, student debt, medical expenses or retirement. Staying on this theme of diversity, CFSI explains that industry research shows that several demographic groups suffer from poor financial health at greater rates than the overall US population. CFSI has a very indirect way of communicating, but the bottom line is that it wants applications that help “underserved populations”. Any applications have to show how you fit this “diverse market”. Let me say it, as CFSI is way too vague – if you’re not white, mention it. To give you an idea of previous successes, CFSI says its alumni – who have collectively raised over $250 million in capital since joining the lab – are now serving over 2.5 million consumers in the US. You can apply for the lab here.